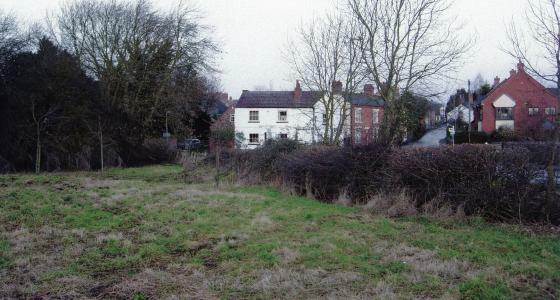 Rothley Parish Council owns the Donkey Field after being purchased for the village by the Hames Charity. 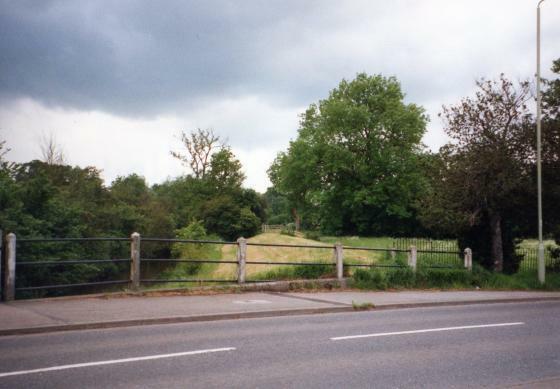 It is known locally as the Donkey Field because there was a donkey in this field for some years prior to purchase by the charity. It is rough mown and has not, to my knowledge, been used by the village for any purpose so this field could see some changes in the future. It is a small irregular shaped plot with three boundaries. 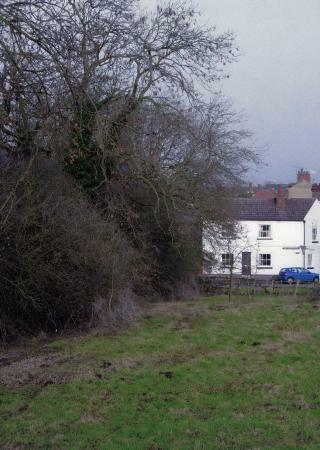 One side is railings and mixed hedge, another is a mixed hedge that has not received any attention for some years and contains good-sized ash trees and the Rothley Brook borders the last side. This field does not flood due to the high bank built some years ago to stop the floodwaters reaching residential property nearby. An initial visit was made to see what was needed for the survey. The time was 3pm, weather hot and sunny. 10 banded Demoiselles by the brook side vegetation. Weather: Heavy cloud and steady rain with the odd dry brief intervals. Observers: Marion Vincent, Brian Verity and Janice Verity. 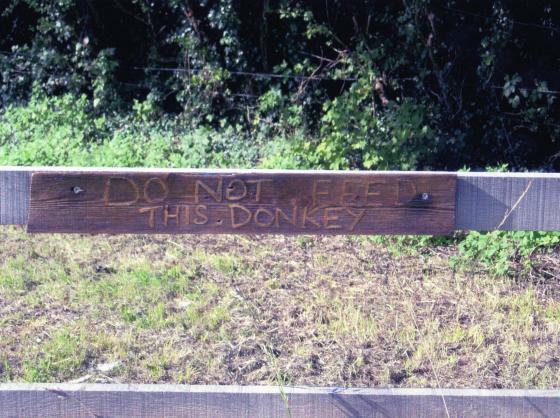 Location: Donkey Field, Hallfields Lane, Rothley, Leicester. The grass was long but had been rough mown. Depending on what the field will be used for we will have to see, if left to its own devices, the variety of plants that emerge in the spring. It does not, however, look very exciting with the present crop of stinging nettles, thistle, plantain, dock, horsetail and grass without flowers. This field has an embankment that was build as part of the flood alleviation scheme. This embankment is regularly mown as far as it extends. Evidence is there of a nice selection of common wild plants so needs to be looked at after the winter and before the first cut. Three holly trees " "
2 Kingfishers- one flew downstream followed by a second bird. Kingfishers are known to be along this stretch as they have been sighted and reported to me. Nesting site not known. 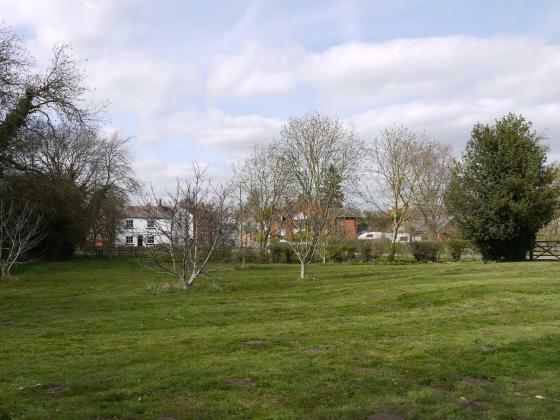 Visited the Rothley Parish Council Office and whilst there asked about the state of the rear of the Recreation Ground the other side of Field 1, which is next to the Donkey Field. 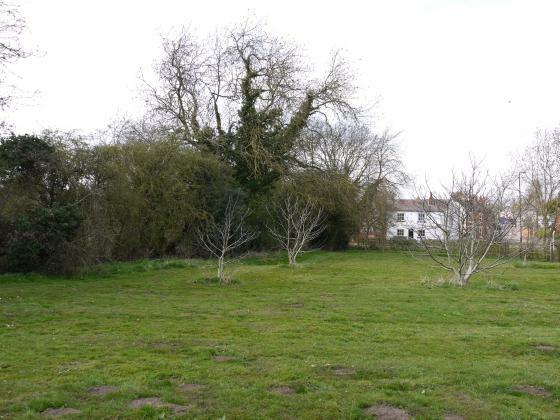 It would make a possible nature area and could be undertaken with a Heritage Grant. 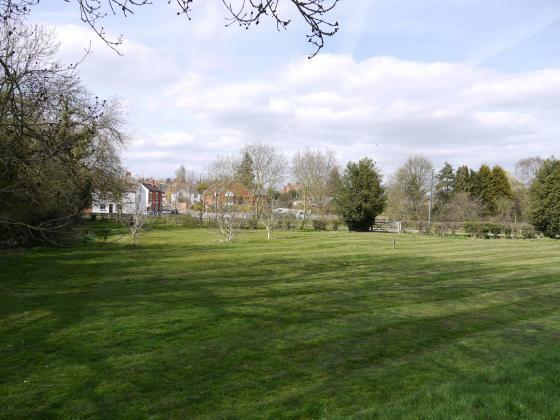 The Clerk advised that there was talk of trying to arrange a swap with the owner of Field 1 so that the Recreation Ground and Field 1 simply changed owners. 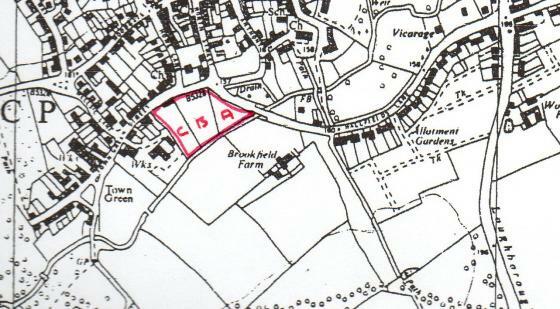 This would mean that the Donkey Field and the Recreation Ground would be side by side and form one more useful larger area for the village. This makes it all the more important that we plot the hedgerows and mature trees this autumn so, should any changes take place, the natural history is given full consideration. Contacted by Robin Dent, Clerk to the Council, who had been asked about 'tidying' up the Donkey Field and what were my thoughts. The matter had been put to the December meeting of the Parish Council. There is no doubt that the grassy central area of the field can look a bit rough and from my previous visits the important wildlife areas are along the banks and the hedgerows. The young trees that were originally on Cross Green were replanted here in 2003 due to the upgrade of the Cross Green area. 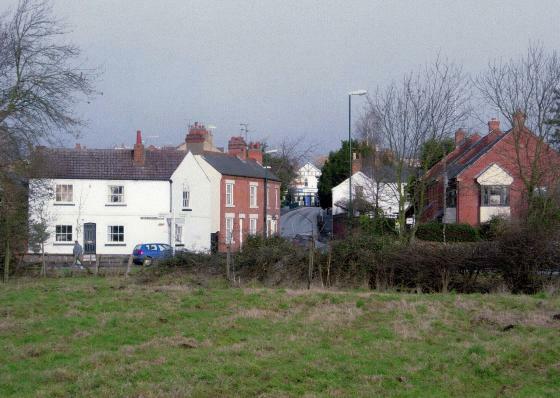 I will do a more in-depth recky of the area in early spring and report back to the Parish Council. In the meantime I will find out if there are any plans to seek a 'swoop ' of the adjacent field with the Recreation Field as this could affect the future proposals for the complete site. 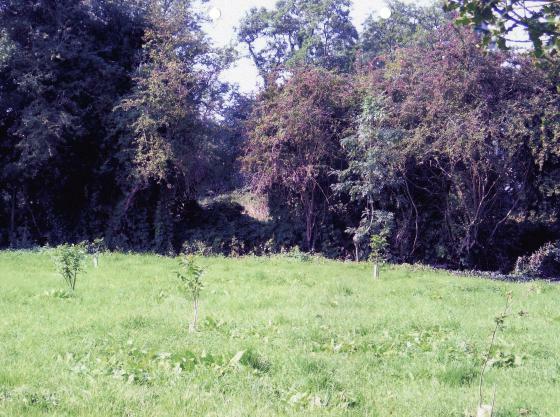 I will also let Robin have the report on the field done by Charnwood Wildlife in September 2001. The staffing of Charnwood Wildlife has been greatly reduced and I doubt if they would have resources to comment. 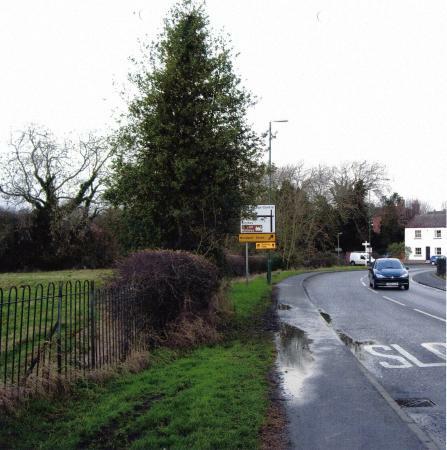 My opinion of the site is that it could be improved as an amenity area provided that the hedgerows are retained and there is no disturbance to the vegetation along the edge of the Rothley Brook. 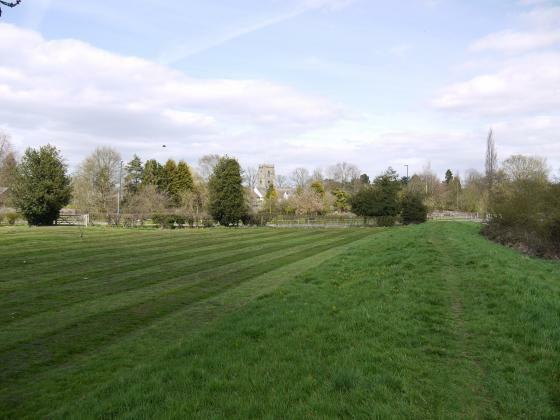 So much depends on whether it is needed for parking cars when there is an event on Bunney's Field; it is very difficult to combine cars with a village pasture, especially in wet conditions. Personally, I would prefer to see it as a combined wildlife site and possible seating area, dog free, but how about a village duck pond! Creating a small field pond. Francoise attached information on species to plant, contractors who could do the work and information on futures maintenance. A copy has been sent to the Trustees of the Harry Hames Trust for their comments. Confirmation received that the Trustees would like to proceed with the gapping up of the hedgerow and planting of the copse but not the field pond. Later in the month Anita, Steve and myself started the major task of cutting back the brambles. I contacted the BTCV (British Trust for Conservation Volunteers) about the possibility of laying the hedgerow on the boundary with the next field. It would cost £260 per day and 30 metres was the average per day. 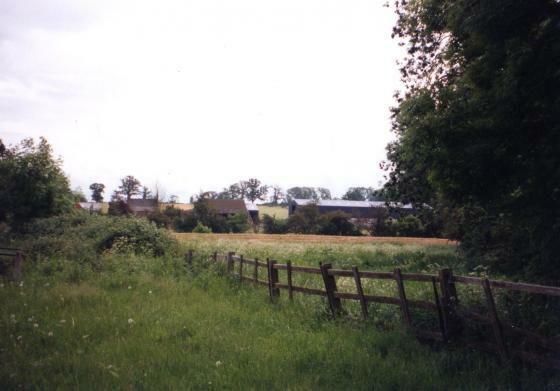 The hedgerow is 80 metres long. I called at the site on the 5th February but now have doubts about it being laid as the hawthorn trunks have never received attention, they are very thick and really are trees. They do need attention in some form as they look very untidy and will take the light and air from the proposed copse. I will consult the Trustees on this. After a successful application to the Tree Warden Free Tree Scheme we today planted up the gaps in the old hawthorn with 60 pieces of hawthorn. The soil was very pliable and it rained hard all afternoon, which could not have been better! We now how to keep the existing and newly planted hedgerow clear of weeds and keep it in good shape. There is no doubt that we have done a lot of work on the Donkey Field over the past 3 years and the improvement has been very noticeable. There has been a lot of activity during these years to keep the Donkey Field looking good. The hawthorn hedgerow is pruned every year to thicken up the growth. The new hawthorn planting has reached the top of the new fence and pruned to keep at that level. 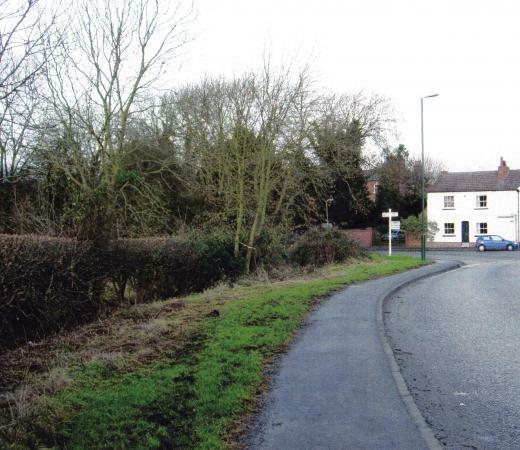 In January 2010 the grass verges fronting Hallfields Lane were tidied back to show the full pavement width and the area now looks very good. We still have to weed around the trees set within the field but due to the very wet and soggy weather we will not be able to do this for some weeks. Anita Armstrong, Richard Tansley and Marion Vincent are the main volunteers working on this site. 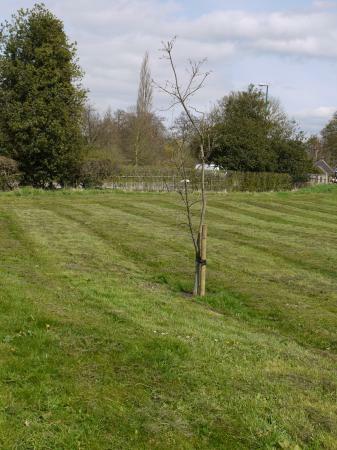 The Diamond Jubilee Oak planted in 2013 by Rothley Parish Council. There was no ceremony to mark the occasion! May 2013. (Perhaps that is why it died-did not have any love). 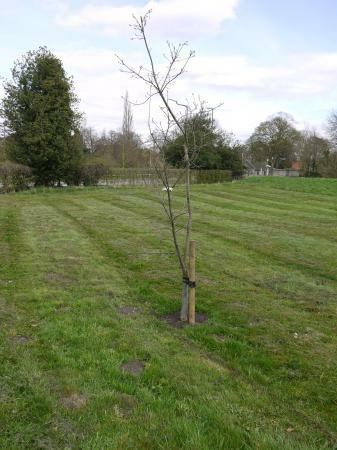 The original Diamond Jubilee Oak planted without ceremony in May 2013 did not survive the summer. 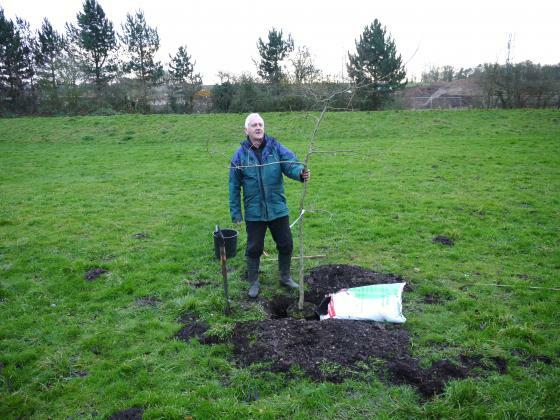 The matter was taken up by the Rothley Natural History Heritage Warden and the Rothley Tree Warden and a new tree was planted on the 17th January 2014. It is a 'Goscote Oak' from Goscote Nurseries, Cossington, and an offspring of the major oak growing on their site in Cossington. 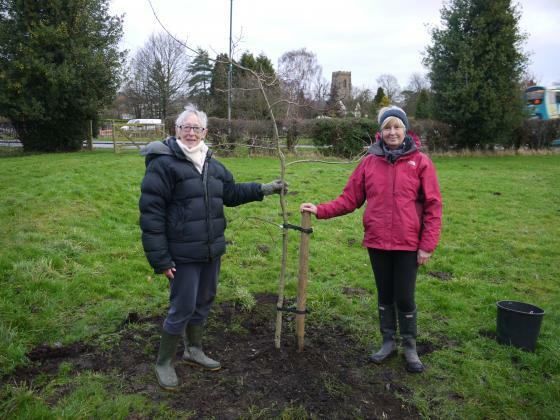 It was planted by Anita Armstrong, Tree Warden for Rothley, and Marion Vincent, Natural History Heritage Warden for Rothley but with all the hard work done by Steve Mitchell, Rothley Parish Councillor.